Odyssey Rehabilitation is owned and operated by therapists with over 30 years of combined experience. Odyssey Rehabilitation is a contract therapy company that provides Physical Therapy, Occupational Therapy, and Speech/Language Pathology services in all areas of the acute and post-acute settings. Odyssey’s corporate office is located in Bridgeport, WV, which allows us to provide corporate support in a timely manner to all of our clients. Odyssey Rehab provides services under contract arrangement primarily to the senior population in Skilled Nursing Facilities and in Hospitals, as well as Outpatient Care. We have a variety of clinical programs aimed at ensuring that the patients we care for are provided with every opportunity to live life to its fullest. By creating an environment of familiarity and trust, our therapists are well positioned to identify subtle changes in independence that can easily go unnoticed by personnel who don’t see your residents daily. The on-site therapist can recommend after therapy care options that are available through on-site wellness, restorative, and activity program(s), monitoring progress in those activities and offering the best assurance that the resident will maintain his or her improved status. Odyssey’s turnkey approach to rehabilitative services and efforts to become a true partner with the facility minimizes the risk to your business and maximizes the benefits to your residents. We identify opportunities that are being under- served and provide programs that meet the changing needs and interests of your residents. This, in turn, enhances the marketability of your facility to the community. Greg Hayes is the Managing Member and founder of Odyssey Rehabilitation. Prior to starting Odyssey Rehabilitation, Greg attended Fairmont State University where he received his Associate’s Degree as a Physical Therapy Assistant. His career as a PTA began in a local out-patient clinic before transitioning into Long Term Care for a contract therapy company. Greg quickly moved up the ladder, becoming a Regional Assistant Manager, overseeing operations throughout WV. In 2006, Greg decided to expand his career into ownership, and started Odyssey Rehabilitation. In a short amount of time, the company has grown to be one of the most recognizable contract therapy companies in the state of WV. Greg currently lives in Worthington, WV with his girlfriend Betsy and their four wonderful kids, Hannah, Tyler, Dillon, and Dalton. He enjoys hunting, golfing & Steelers football in addition to spending time with his family. Greg is also the business owner of two family owned companies specializing in appliance sales and service, as well as, Twisted Oaks, an outdoor company specializing in hunting products. 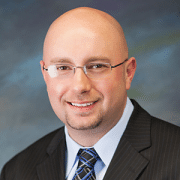 Jack Spatafore is the Vice President of Odyssey Rehabilitation. He helped start Odyssey Rehabilitation, alongside Greg, in 2006. Jack is also involved as an owner of Bridgeport Physical Therapy, an outpatient clinic located in Bridgeport, WV. Jack received his Masters of Science in Exercise Physiology from the WVU School of Medicine and his Doctorate of Physical Therapy from Shenandoah University. He is also an active member of the WV Physical Therapy Board, which is involved in making physical therapy safe and accessible. Jack lives in Bridgeport, WV with is wife Maria and 4 wonderful children Olivia, Anthony, Jack & Nina. Jack has an immense enjoyment for life because of his strong relationship with the Lord. He loves spending time with his family and working one on one with patients to help them achieve their goals. 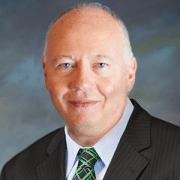 George is the Chief Financial Officer and Chief Operations Officer for Odyssey Rehabilitation. 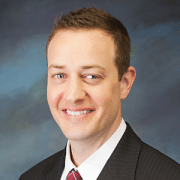 He has a BBA in accounting from Eastern Kentucky University and his MBA in management from Vanderbilt University. He began his healthcare career working in the hospital setting as a Chief Accountant and progressed to both CFO and COO roles for various hospitals. George also has several years of experience in home health and physician office management services. Most recently George was the CFO for a large multi-state rehab company and managing partner for a consulting company in the post acute health care arena. George is a member of the American College of Healthcare Executives (ACHA) and an advanced member of the Healthcare Financial Managers Association (HFMA). George is also a lifetime member of the Kentucky High School Coaches Association. He currently resides in Knoxville, TN with his wife and family. Ester has a Bachelor of Science (B.S) in Medical Technology and her Master’s Degree in Occupational Therapy (OT)- both from West Virginia University. She began her professional OT career working in an outpatient rehabilitation hospital. Ester then accepted a job as an Occupational Therapist working in a Long Term Care setting. She was quickly promoted to a Program Manager and again to a Clinical Specialist. In 2008, Ester was hired by Odyssey Rehabilitation as the Vice President of Operations. 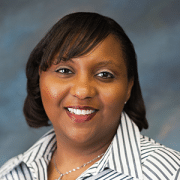 In January of 2013, Ester was promoted to Chief Compliance Officer, and currently serves in this position. Ester is a licensed OT in West Virginia and Virginia. She is also registered by the National Board of Certified Occupational Therapy, and is a current member of the American Occupational Therapy Association. Ester is a Certified Dementia Practitioner (CDP,) a Certified Dementia Trainer (CDT,) a Geriatric Specialist (GS,) and a Certified Online Training Professional (COTP.) She currently lives in Morgantown, WV with her husband Eric Sr. and son Eric II. 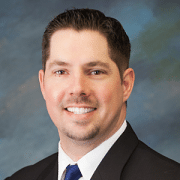 Mike Dotson started with Odyssey Rehabilitation in January of 2009 after 6 years in the Pharmaceutical Industry and over 10 years of sales experience. Mike attended Fairmont State University and has a B.S. Degree in Marketing & a Degree Management. As the Chief Marketing Officer, Mike oversees the sales department, insures client satisfaction and implements the promotional strategies of the company. Since joining the team, Odyssey Rehabilitation has grown to be the largest privately owned contract therapy company in WV and has seen expansion into the Virginia market. Due to the success and growth of the company, Mike was promoted from VP of Sales & Marketing to Chief Marketing Officer in October of 2014. Mike currently lives in Fairmont, WV with his wife Amy, two sons Maddex and Merric and twin daughters Mccartney and Amarya. He enjoys spending his free time going to sporting events, athletic training and being with his family.